It’s time to say goodbye to winter, bringing the outdoors into your home is the perfect way to spruce your home up and give it a summer feel. 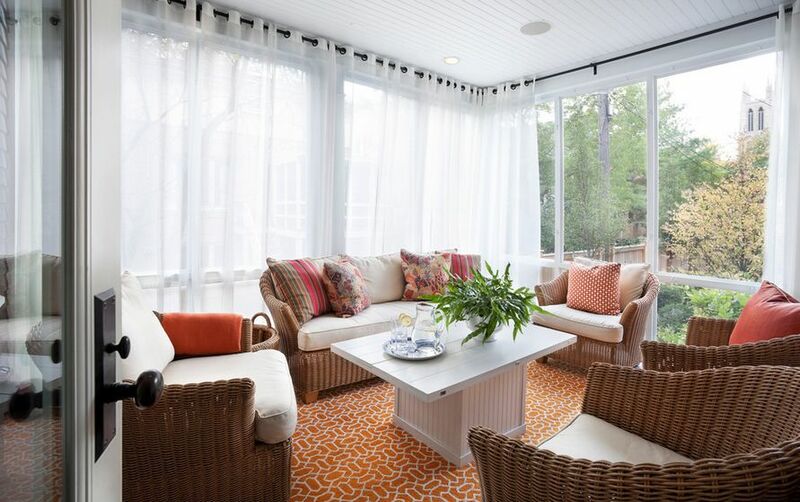 No need to bring out the paintbrush every season, but adding color and patterns with throw pillows, blankets and decorative accents will bring your home into summer! Bring the outdoors, indoors … Visit your local Farmers Market to purchase fresh flower bouquets for your home. Invite summer inside, it’s time to put away those large heavy drapes and put light airy ones to embrace the summer sun. Also, turn your ceiling fan to counter-clockwise (the blades are tilted upward as they spin) to push air downward and create a stronger draft and take advantage of cool summer nights. It’s time to clean, make sure your windows and screens get a little attention during this time, also it wouldn’t be a bad idea to replace the filter for the air conditioner and have it inspected at that time. Nothing could be worse than a malfunctioning air conditioner during the hottest parts of summer. Heading into summer is also the best time to purge closets, storage sheds and other storage areas in your home, summertime is rummage sale season! Make your outside space the main focal point, whether it be an outside kitchen, deck or patio use this time before summer hits to do some maintenance items. Screw in loose screws, replace chipped pavers or flip them upside down, or deep clean the outside kitchen. Take your outside furniture out of storage and give it a good spray down, and make sure to give your outdoor cushions and pillows some attention too. Snow blowers to the back, make sure to flip your garage or shed around for easy access to seasonal items. Salt, snow blowers and winter items to the back and bring forward your lawnmower and fertilizer.